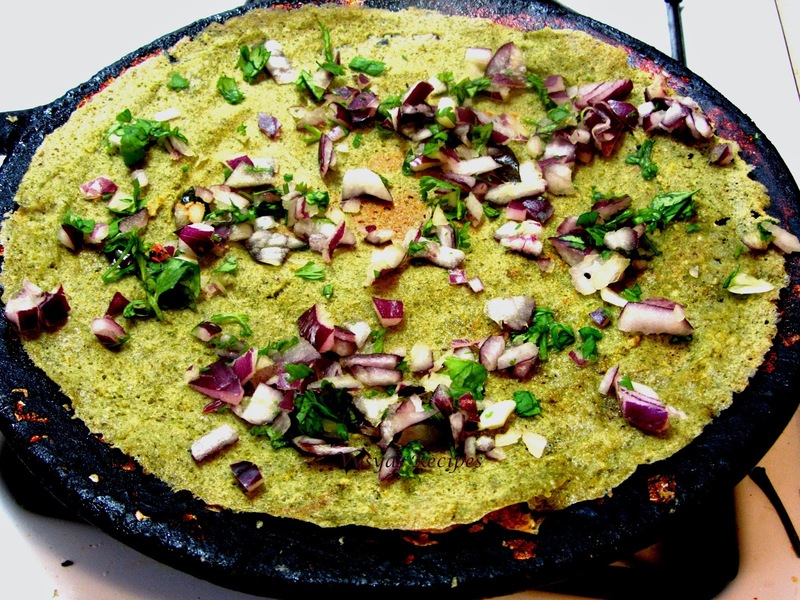 Pesarattu is a popular Andhra Breakfast Recipe. it is usually served with Ginger chutney or Tamarind Chutney. Pesarattu is usually made with Pesara pappu and rice. 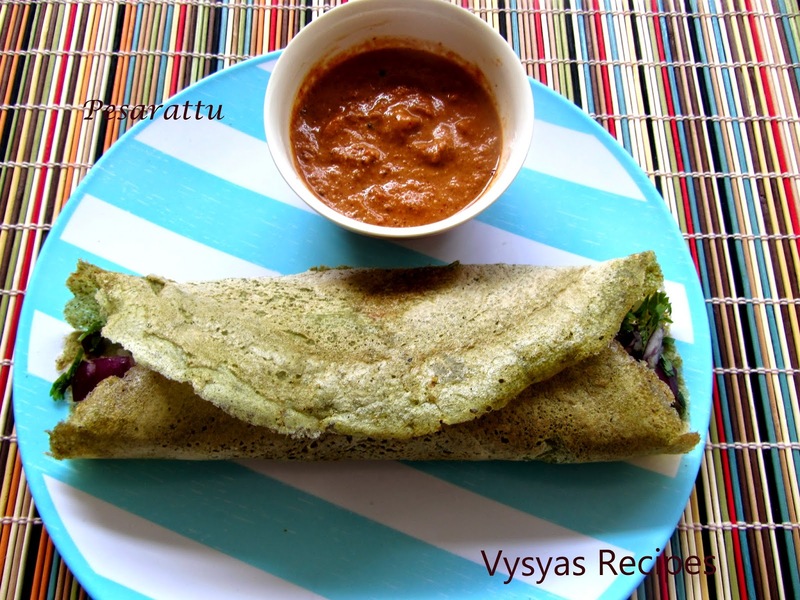 Attu means dosa, pesara pappu means Green Gram, so the name Pesara + attu pesarattu.it is served as breakfast or dinner recipe in many Andhra Restaurants.Pesarattu served with Upma is called MLA pesarattu.Upma pesarattu is a favourite in coastal Andhra region especially the Guntur, Krishna, East Godavari and West Godavari districts. Regular consumption of green gram also reduces the level of cholesterol of the body as it contains fiber.Green gram also contains folic acid, fiber, magnesium and vitamin B-6. Therefore it also helps to keep the heart well. Vitamin B-6 and folic acid keeps strokes and many heart related diseases at bay.Green gram is used as a digestive, nutritive and aperient. It is good for pregnancy and breast feeding women, as well as children. 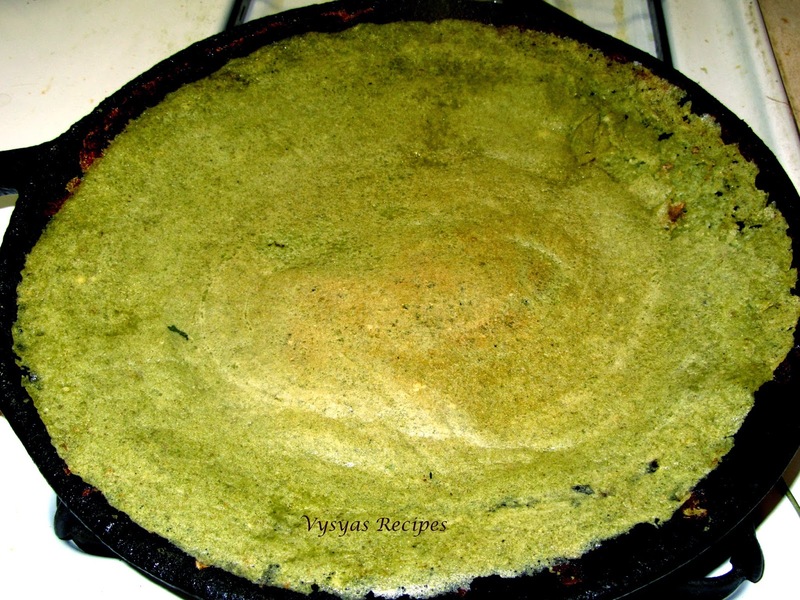 Eating Green gram regularly increases lactation, helps one to get the required nutrition and promotes well being.Now we learn to make Andra Pesarattu. Green Gram - 1 cup. cut the onions and chop into fine pieces. chop coriander leaves finely. Mix chopped onions and coriander leaves well, and keep it aside.Now topping is ready. 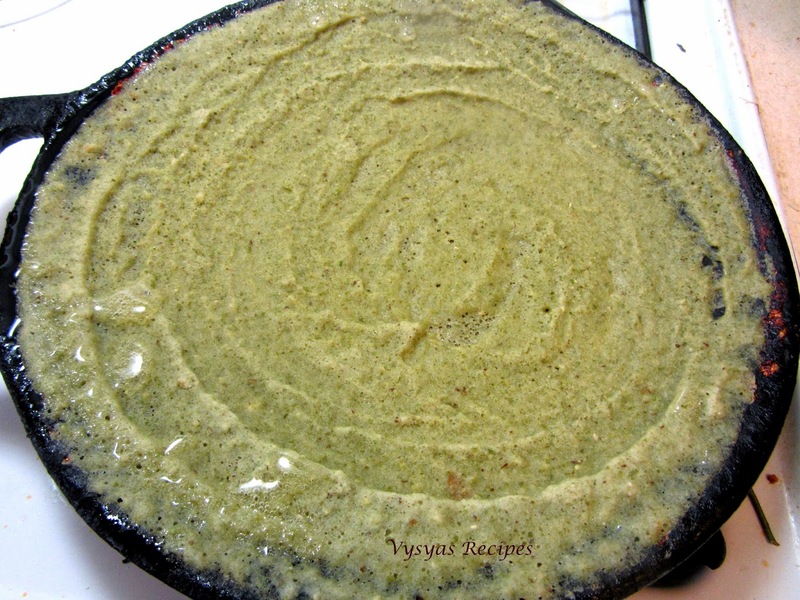 Soak Green gram and rice together for 5 hrs or over night, then grind it into smooth paste with other ingredients listed in ingredients column, with needed water into a smooth batter. Consistency should be moderate. Fermentation is not necessary. Then spread the dosa, like we make normal dosa, drizzle some oil. (for crispy dosa's, spread it thin.). When both sides are cooked , top it with onion+corianderleaves mixture. Serve hot. Traditionally it is served with Allam Pachadi. It looks yummy and i am sure it would taste delicious..!! Looks so yummy!! One of my favorite.. Healthy and tasty dosa....... My kind of breakfast! 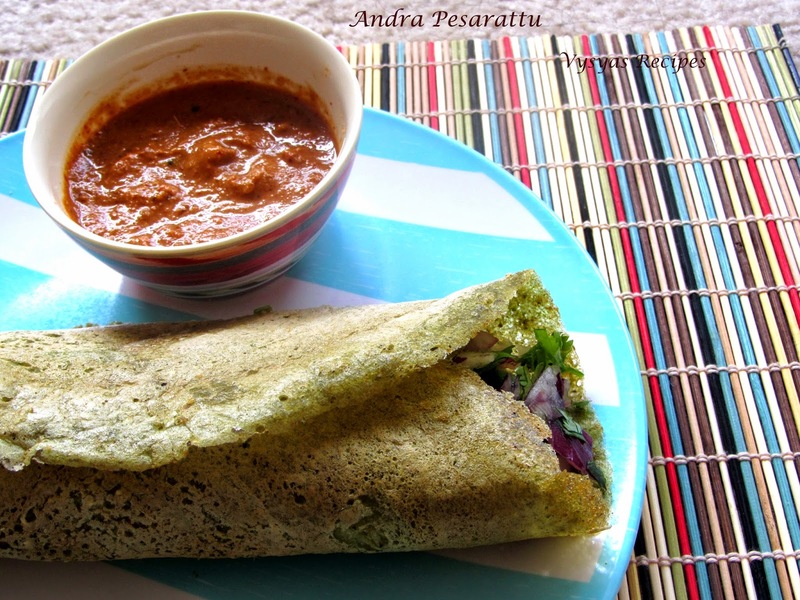 Andhra pesarratttu dosa looks really yumm. dosa,pachadi irandaium parkkumpothu saappidnum pola irukku.super!